Workers compensation is a system established in California that provides workers who have been injured on the job compensation for their damage. Employers are required by law to pay for workers’ compensation benefits for their employees in the event that workers are hurt. Workers’ compensation is a lot easier of a process if you have a law team standing behind you. Focus on healing, while we focus on winning your claim. Contact Joseph C. Crudo, PLC for workers’ compensation lawyers in San Diego. 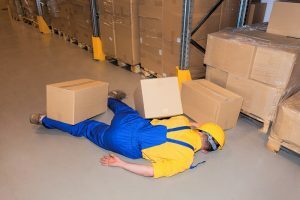 Single Event – A single event workers’ comp claim is for workers who were injured in one single event. This can include cutting your finger, falling while delivering a package, being burned, and etc. The injury happened only in this single event. Repeated Events – This is damage that has been done repeatedly over a period of time. For example, repetitive motions that cause carpal tunnel syndrome, or loss of hearing from repeated loud noise. Stress/Psychological – If your job has caused you any mental health problems such as sleep disorders, depression or anxiety, you can potentially be compensated for it. Medical Care – This will cover your medical bills and any medications you might need. Temporary Disability – This applies to workers who need to take time off of work to recover. Their income will be compensated. Permanent Disability – This is a permanent set of payments for workers who cannot return to work. Vocational Rehabilitation – When injured on the job, it’s possible that the worker will not be able to return to their position. Vocational rehabilitation goes towards either on the job training, education, or job finding assistance in order to find a new employment option. Death – This applies to any dependents of the deceased worker to compensate for the loss in income. Dealing with a workers’ compensation claim alone can be stressful and unsuccessful. Our law firm can navigate through your employer’s workers’ comp program to help maximize the benefits you obtain. We will also ensure that the evaluation of your injury is done by a competent and qualified doctor in order to ensure you receive the best treatment possible. We will fight for you through the entire process and be prepared for your trial. In some cases, a third party is to blame as well. This will provide you the opportunity to also file a personal injury liability against the third party. This will give you a bigger compensation in result. Contact the law offices of Joseph C. Crudo, PLC today if you are going through a workers’ compensation claim. We can help you win the best benefits possible as well as determine if a personal injury claim needs to be filed as well. Give us a call at 858-622-7280 or visit our contact us page to fill out our online contact form.